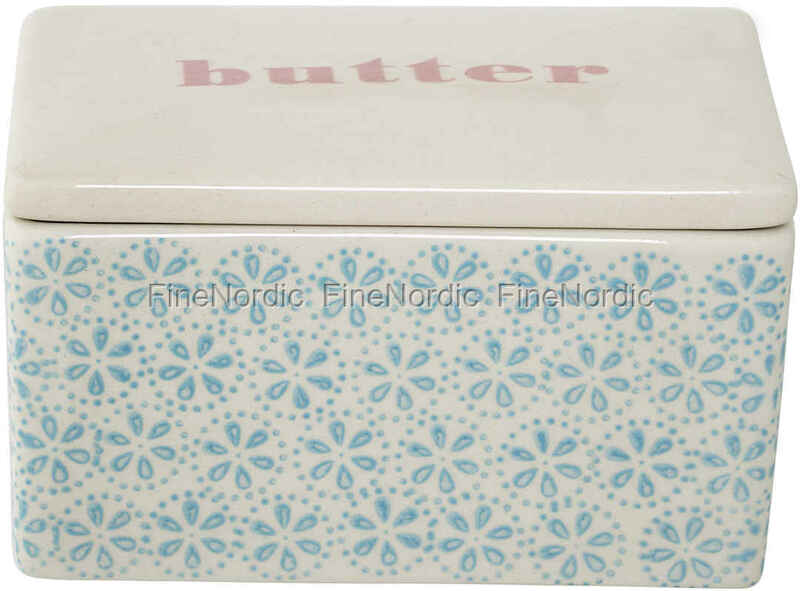 The nicely shaped butter box Patrizia Blue by Bloomingville not only takes good care of the butter, it looks beautiful too. This porcelain box with its blue flower pattern, we will always add proudly to the dining table and also at any occasion. On the lid is written "butter" in pink letters, so that way there won’t be any doubt about what could be hidden in the box. The butter dish can be combined nicely with other Patrizia tableware and together with plain light blue or pink dishes it creates a lovely contrast on the table. After use, it can easily be washed in the dishwasher and then it is ready for the next use. Looking good and being practical, that's just the way we like it!